Aluminum venetian blinds feature a stunning range of vibrant colors that can surely stand out from the crowd and still look great in any interior motif. 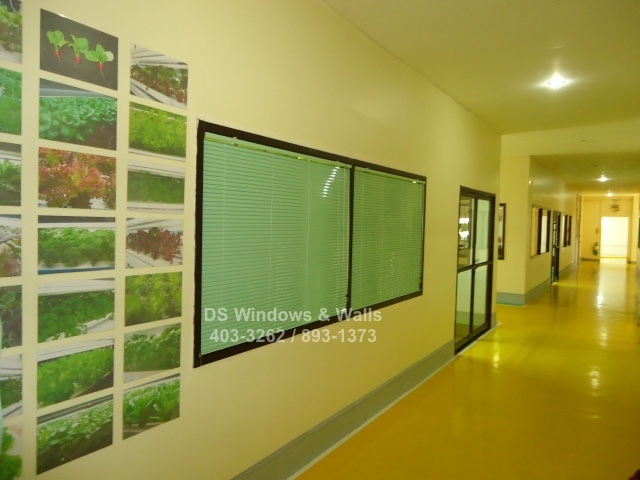 Two of our clients in Cavite will be featured in this article that choose a different color tone a bold, bright red and a soothing apple green venetian blind. Both colors are lively and eye catching, but offers a different kind of mood in its surrounding. 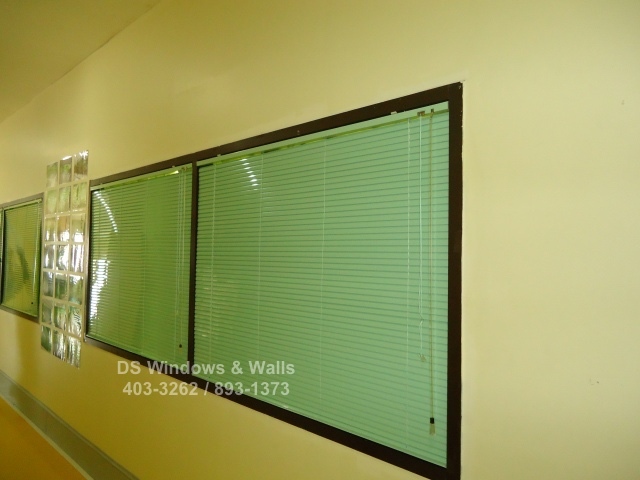 The first and second photos belong to our client who favor apple green venetian blinds. One of the main reasons they chose this color is because of the nature of their work which is connected mainly with agriculture. Using a color tone for your office interior design that somehow represent the nature of your job is always a smart technique to boost the ambiance of your workplace and your company reputation at the same time. Using apple green blinds also gives a rustic feel and accomplish in providing a slight zest of color without being too overwhelming or too boring. In fact apple green is one of the most sought after color for window treatments, wall paint or wallpaper and many more. It’s a refreshing and relaxing color yet lively that has perfect balance that blend well with almost all types of motif. The next featured client favored a strong and bold red color for their blinds. An intense and fiery, red is a trendy color that is introducing drama and character into any type of room. At first you might think that red is a difficult color to handle, but in fact, using red venetian blinds will particularly look amazing in a modern contemporary room that’s crying out for exciting atmosphere which our client really wanted. In the picture you will notice that there’s a little part in the middle of the blinds is white just only adds more fun and attention it. 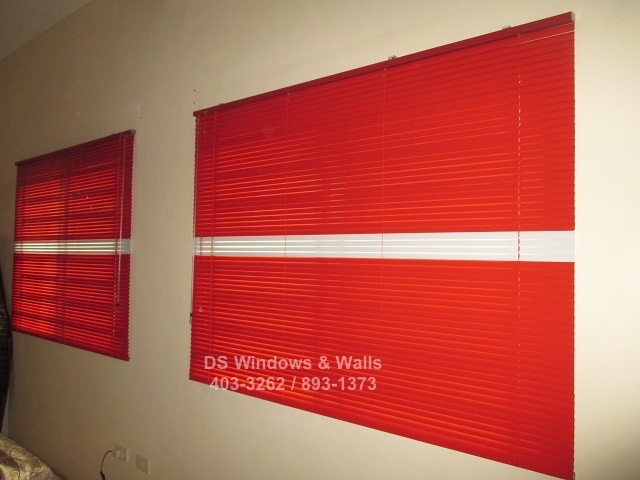 Aluminum venetian blinds are always popular especially with its wide range of color choice. There’s yellow, black, different type of pink shade, blue shade and it also comes with printed and perforated design. For more inquiries please call us at (02) 893-1373 / (02) 403-3262 / (02) 668-9668 / 0916-311-3909 or visit our showroom at 2nd level Pacific Mall Lucena City, 3rd level Robinsons Metro East, Pasig City and 4th level Waltermart, Makati City. You may also contact DS Windows for CALABARZON area through Mr. Patrick Villapando at 0917-583-0214 (Globe) or 0922-592-6111 (Sun) or 0908-989-4676 (Smart).